Summary: With Dean's deal winding down Sam and Dean seem to be dwindling apart all for different causes but on there last hunt the wrong words slip out which causes Dean to see Sam or should I say Sammy in a new light. De-aged fic set in season 3. 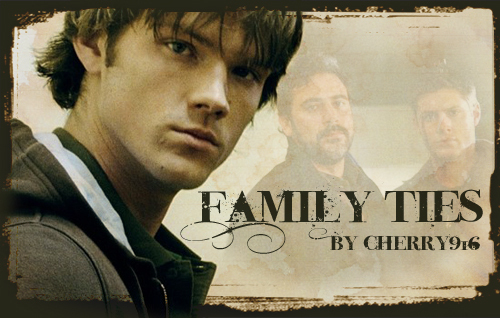 Summary: Sam and Dean are still at odds right after their father’s death. Nothing seems to be working and soon enough they both just seem to give up with trying. When they go to do a simple salt and burn the initial hunt seems to spiral into more than they ever imagined. Who is killing all these people? Who is this weird new hunter with a fixation on Dean? And how come after they did the initial salt and burn their problems only get worse? A/N: This is a little something I've been working on for awhile. I hope this will get me back into writing chapter stories for SPN since it's been so long since I did so. I really hope you like it and continue reading it. The banner was made by the awesome moviegeek03 isn't it just...fitting? lol I love it thank you BB. Finally I got all this in order and organized for a master post. 1 fic down 15 to go lol.